Stainless Steel EN 10216-5 Seamless Piping, SS EN 10217-7 Welded Pipes, SS EN 10216-5 Seamless Tubes, Stainless Steel EN 10217-7 Tubing Exporter, Supplier. Piyush Steel is a known exporter and distributor of Austenitic Stainless Steel Pipes and Tubes, which has a number of exceptional features to provide like easy to install, can survive high pressure, high strength, and so on. The offered EN 10216-5 Pipes are easy to get to in wide-ranging specifications according to the requirements of clientele. EN 10216-5 Tubes is extensively required in the market because of accurate dimensions and easy installation. These EN 10217-7 Pipesis available in a widespread range of grades, lengths and shapes and also being known for its rust resistance nature. 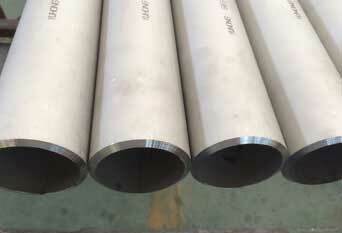 Presented EN 10217-7 Tubes is being manufactured by our reliable experts by using best grade of stainless steel. So as to strengthen our place, we are effectively offering an extensive and quality guaranteed range of EN 10216-5 Stainless Steel Pipes. 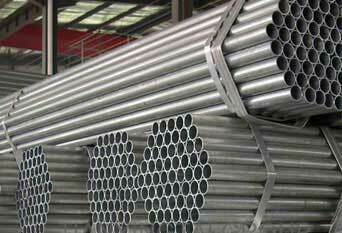 EN 10216-5 Pipes, EN 10217-7 Stainless Steel Welded Tubes, EN 10216-5 Seamless Pipes, EN 10216-5 Seamless/Welded Tubing Manufacturers, Supplier. Our offered EN 10216-5 Stainless Steel Tubes are checked by quality specialists in order to make sure in offering the perfection. Our offered steel tube is checked by quality specialists in order to make sure in offering the perfection. These EN 10217-7 Stainless Steel Pipesare being manufactured by our experts by using premium material and urbane technology bearing in mind the pace through set standards. We hold proficiency in providing a superior grade range of EN 10216-5 SS Pipes that is recognized for its robust construction, longer working life and high tensile potency. 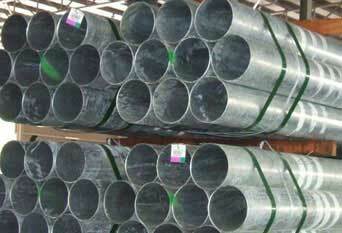 These EN 10216-5 SS Tubes are required for different structural uses. Also big amounts of this stainless steel are being used in storage and food production functions. 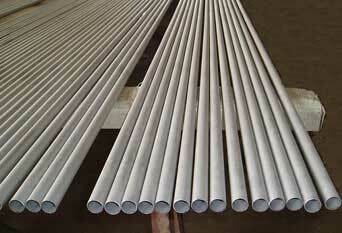 These EN 10217-7 Stainless Steel Tubes and other corrosion resistant alloys are at length used in the power generation industry for to fight corrosion, mainly at high temp. Most likely the most demanding industries that use these EN 10217-7 SS Tubes are the processing, chemical and oil & gas industries that have created a huge market for pipes, pumps, valves and stainless tanks as well. The most renowned application of EN 10217-7 SS Pipes are in all probability for kitchenware and cutlery. They are being used in areas such as petroleum, chemical, aviation, power, papermaking, boiler heat-exchanger and so on. We Supply EN 10216-5 / EN 10217-7 Pipes & Tubes of various origin’s and companies like Nippon Steel & Sumitomo Metal, Sandvik, Sanyo Special Steel, Kobe Steel, Schoeller Bleckmann, Salzgitter Mannesmann Stainless Tubes, Tubacex etc.